Some Street Fighter Alpha titles articles that are not related with the combo engine of the games. Mostly focused in the general game mechanics characteristics and another random notes that matters. 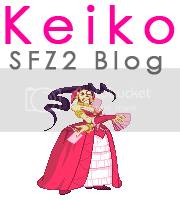 – SFA2 High Knock Down (HKD) Glitch. – Street Fighter Alpha Anthology Dip Switches. – SFA3 Kattobi Cancels Guide (In Spanish only, Sorry). – Street Fighter Alpha Hitboxes Article by Dammit (via ComboVid.Com). – Turbo Speed & Frameskip Article by Dammit (via ComboVid.Com). – Alpha 3 Intro to E.Honda by TSDCS (via TS Blog). – A3 Combo Movies Advices by Xenozip (via Xenozip’s Blog). – Alpha 3 Rose Sucked Article by Xenozip (via Xenozip’s Blog). – Alpha 3 Traps by Xenozip (via Xenozip’s Blog). – How to Collect Frame Data (Examples) using MacroLua by Dammit. – Scripting Shortcuts and Time-Saving Tricks by Maj (via Sonic Hurricane). – How to Find Charge Switch Points by Maj (via Sonic Hurricane). – How to Use MacroLua by Maj (via Sonic Hurricane). – What Does Tool-Assisted Mean? by Maj (via Sonic Hurricane). – Basic Combo Video Etiquette: Content by Maj (via ComboVid). – Basic Combo Video Etiquette: Capture by Maj (via ComboVid). – Basic Combo Video Etiquette: Editing by Maj (via ComboVid). – Basic Combo Video Etiquette: Release by Maj (via ComboVid).